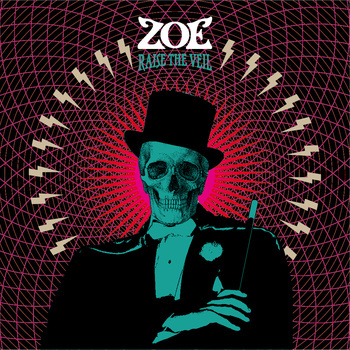 French band ZOE have just announced their latest album ‘Raise The Veil’ which was released worldwide via Brunnus Music in 2014, has been added to their bandcamp page for streaming, as well as a long-awaited issue of the album on vinyl. This follows on from their initial release of the album that was available on CD as a limited edition. ‘Raise The Veil’ features 11 tracks with a stoner influence behind heavy sounding guitars along with a raw and melodic vocal. With an impressive sounding rhythm section that backs up the power of the tracks, the album has an excellent sound to it. ZOE was formed in the late 90’s, in the North of France and released their debut album ‘Make It Burning’ (2006) which was full of stoner rock with hard rock seventies influences. Releasing their second album ‘Dirty Little Sister’ (2009) they captured the live element of the band which ZOE are renowned for. Their third full length album ‘Raise The Veil’ was recorded by Olivier T’Servrancx at the Electric Box Studio (Glowsun) and then mastered by Göran Finnberg (In Flames, Meshuggah).